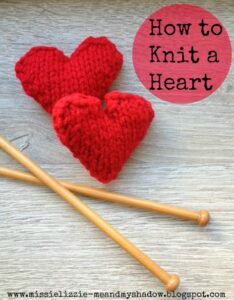 This is a wonderful guest post by Evelyne Nemcsok! 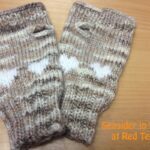 Evelyne is an experience knitted and has a great set of knitting resources for you. 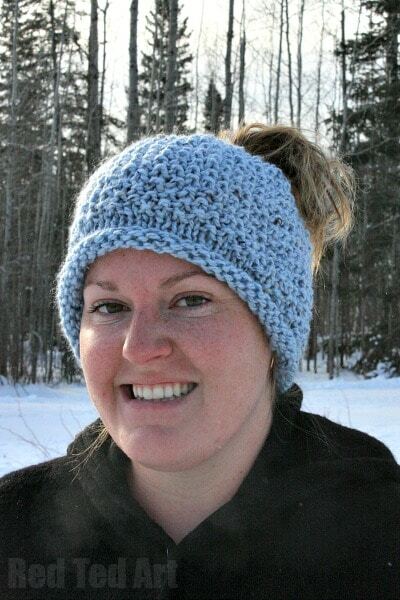 Today, she wants to share this wonderful Seed Stitch Messy Bun Hat that she designed a little while a go. 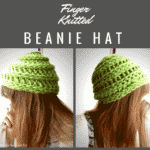 It is a great free Hat Knitting pattern for beginners. 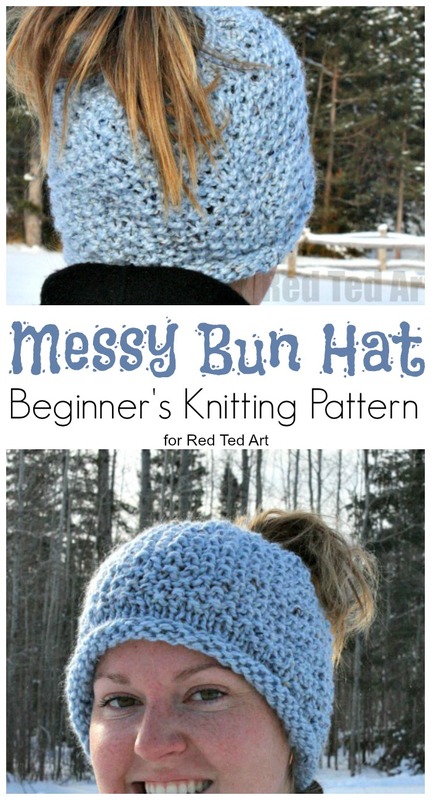 If you have just learnt to knit, this messy bun hat knitting pattern is just the thing for you!! 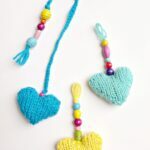 Quick and easy, super cozy and perfect for the Winter months (especially those school runs, when you don’t want to mess up your hair)! 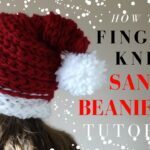 Introducing a beginner friendly free knitting pattern for the hat that broke the internet. 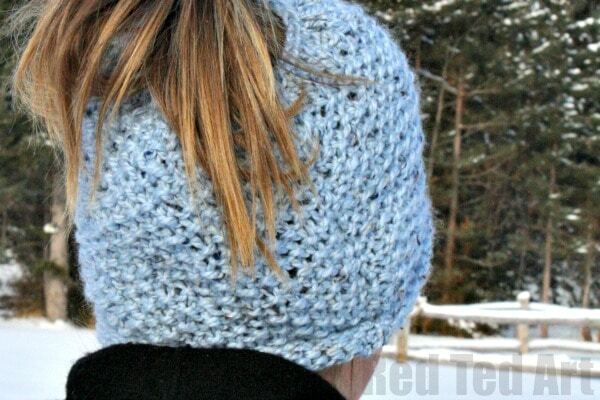 This Messy Bun Hat features a rolled brim, plus a classic seed stitch rise, and an uber convenient spot for your bun or ponytail. 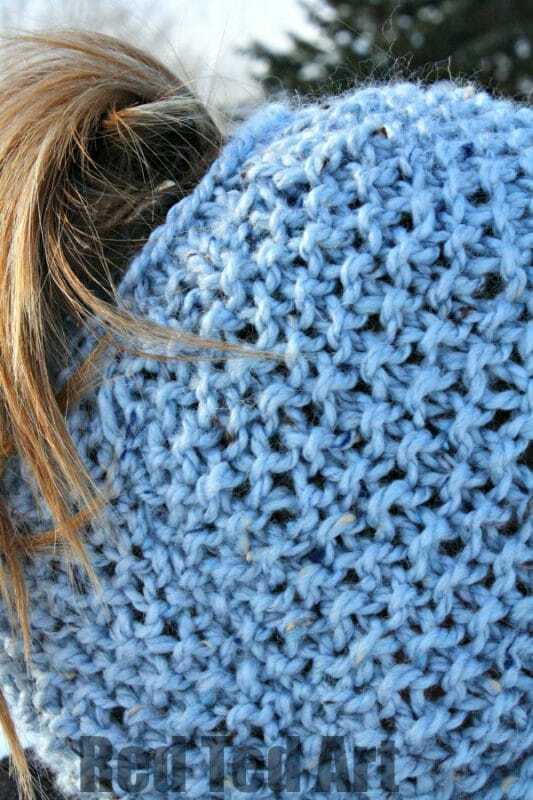 Also, don’t be alarmed by the term seed stitch, after all it is all just knits and purls. 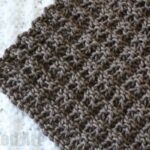 In a seed stitch pattern they are arranged in a certain way to give that unique texture, and a denser fabric. 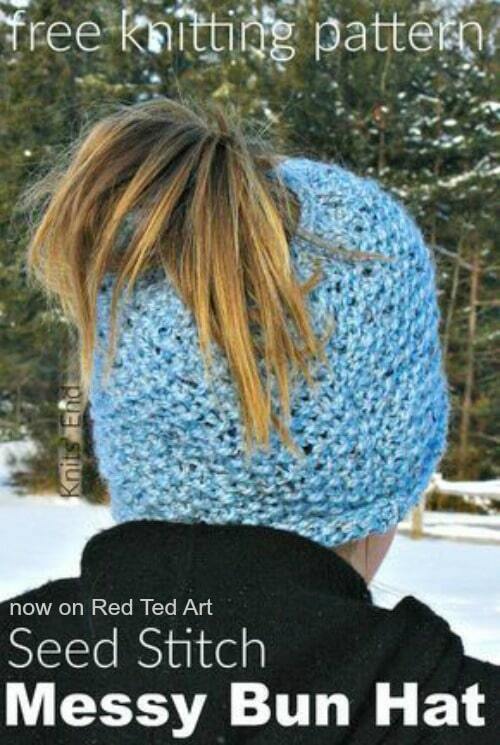 So, I’m sure you are all aware of the messy bun hat that broke the internet. 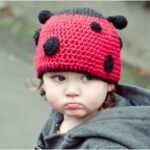 It’s a lovely crochet hat that accommodates your beloved ‘mom bun’, or ‘messy ponytail’ hairstyle that is classic to the carefree Moms of today. 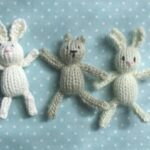 Knitters and crocheters alike are being bombarded with requests from friends to make them one. Anyhow, the Facebook tags and the pattern requests happened here too? Therefore, due to popular request, I’ve got a couple of patterns all finished up, and this one is ready to be shared with you. Gauge: 12 sts and 18 rows = 4? The following contains Amazon Affiliate links added for your convenience. Should you choose to purchase use these links, I will earn a small comission which will go towards the upkeep of this website! 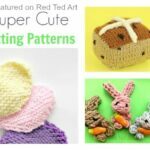 Hope you enjoyed this wonderful knitting pattern by Evelyne Nemcsok! We have more great patterns coming for you soon!